Retroblogging here, about things which we did, but I never did add to the blog. In this case, a trip to Mexico City, mainly for the Formula 1 Grand Prix. But we did have one day for general sightseeing. 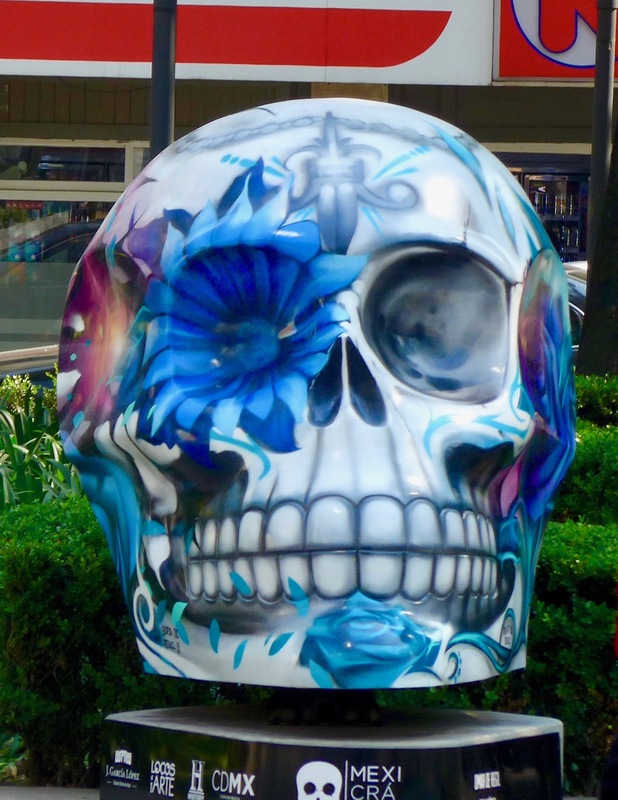 A decorated skull for the Day of the Dead parade, made popular by James Bond.